Brighton is a fantastic place to live all year round. In the summer the city is completely packed to the brim with events, tourists, Hove lawns festivals, beach bar drinkers and shoppers. In the winter it’s a completely different place; the atmosphere is much more relaxed and almost a feeling of hibernation. There’s no shortage of things to do in Brighton in the winter, and it all depends on how weather-hardy you are! Brighton seafront is a windy place in winter. Park on Marine Drive and some days you may struggle to open the car door. Many a pay and display parking ticket has been whipped off the dashboard before it can be used in this part of town – thank goodness for the introduction of Phone and Pay. 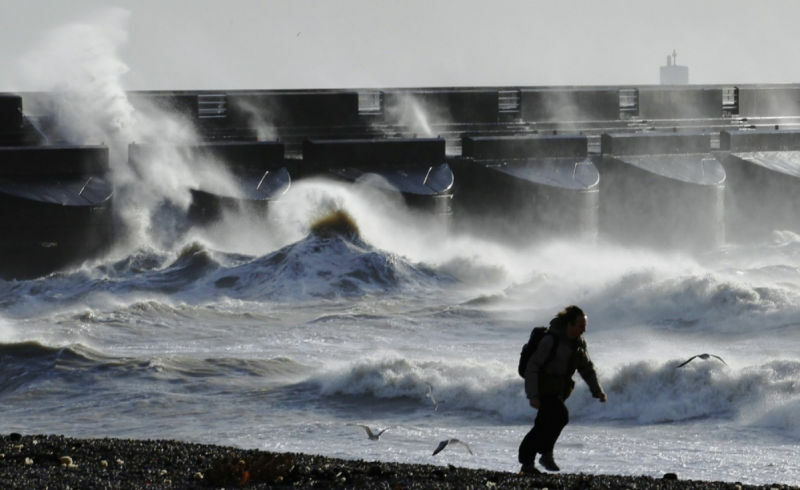 If you’re a walker, cyclist or jogger and like to travel east to Rottingdean along the coast you’ll be all too aware of the mega-waves. If the weather is too extreme the Undercliff Walk will be closed. But if not, it’s quite fun to dodge the rhythm of seawater splashing over the wall whilst your slower friend gets a good soaking. The waves at Brighton marina can be quite spectacular to watch too, and you can get a great view from any of the restaurants along the boardwalk. There are so many gigs and club nights at Concorde2 that are well worth the chilly seafront walk that’s thankfully sheltered by the Madeira Drive arches. The thing most people love about living in Brighton is that you can walk almost anywhere easily and the longer you live in the city the faster you get at travelling by foot. Some of the best nights in Brighton include a stroll with friends to one of the most famous music venues in town. The walk home always feels longer after a night of dancing, but thankfully those wonderful people at CityCabs are likely to be waiting by the door for your custom just as closing time comes. When it comes to bonfire night in Brighton there are essentially 2 options. Go with the masses to the hugely popular free spectacle that is Lewes Bonfire and risk not being able to get home again for hours or go for the safe, paid for, sensible option of a nice comfy seat, some cheesy pop music and a great pyrotechnic display at Hove Cricket ground. It’s a topic that has divided friendship groups and families for decades… easily solved… move into an apartment at New Wave, Hove or Goldstone Crescent and watch the display from the comfort of your own home! Every year the Brighton Pavilion hosts an outdoor ice rink from November to mid-January. Once the foundations start being laid, it’s a sign that all things Christmassy are on the way and that there are going to be some great nights out on the rink with friends. Most residents will go for a skate several times as it’s a really fun way to spend time together as a group, and the attached Winter lodge style rinkside bar serves up plenty of hot mulled wine for afters.